We were dying to help Nathan out when he asked us to capture his creative proposal. Nathan & Abby are good friends of ours and we love the Minnesota State Fair, so Nathan's idea was exciting to be a part of. 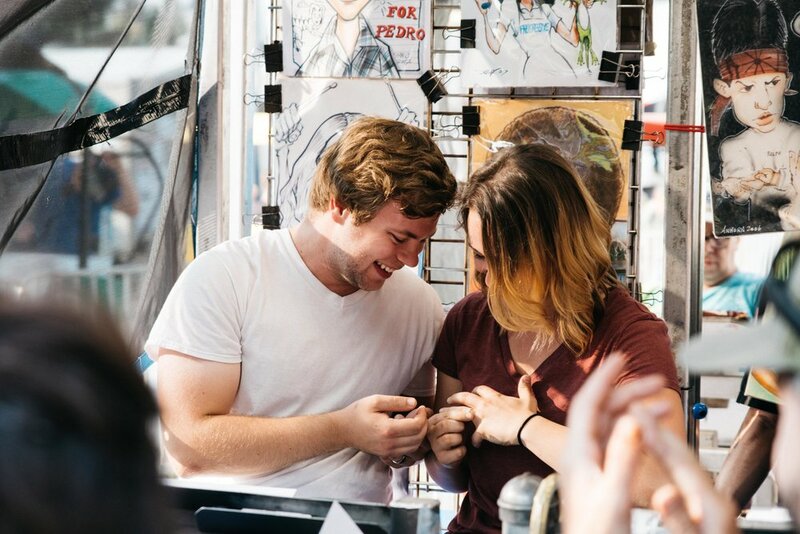 As the happy couple sat down to have a caricature drawn, we hid out behind a food stand to snag photos of Nathan popping the big question! We're so glad she said "YES"!